Skin type: ALL but mainly normal, combination and oily skin types as well as enlarged pores and excess sebum. How to use: Use as a classic water-based foaming facial cleanser, ie as regular facial soap. Add water, work up a foam, wash and rinse your face. 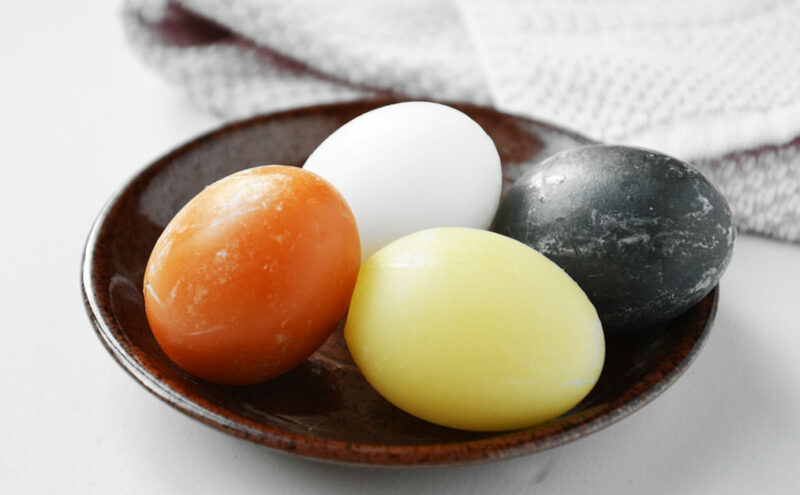 Formula: All soaps contain Hydrolyzed Egg Protein but some also include ingredients like green tea and purifying charcoal. 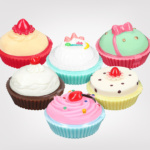 Good: Incredibly cute soaps that makes you wanna buy and try them. Soft creamy foam, and they are a in fact a multi-purpose product. The bathroom is filled with this lovely fragrance. One can vary between different soaps depending on the skin’s needs. 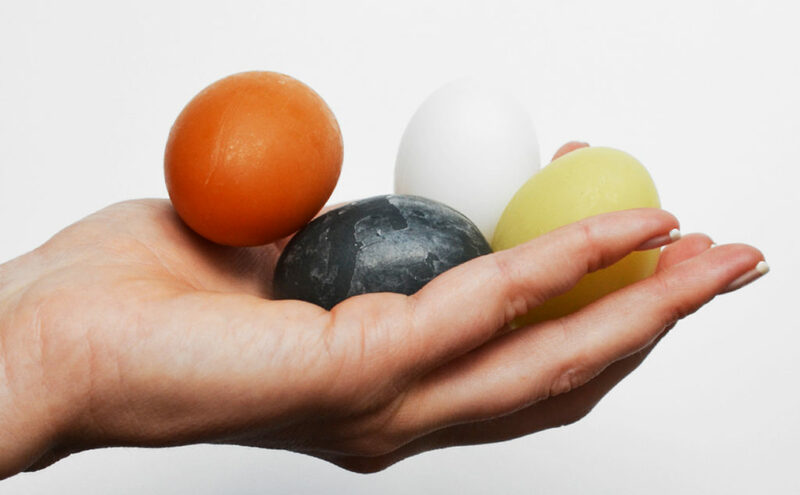 The egg soaps are dense, long lasting and keep the round shape without getting soft or messy. They deeply cleanse the skin. Also works well for so-called double cleansing. Awesome! Bad: The classic “soap and water” feeling may not suit everyone. The soaps may feel a bit too stripping and tight on dry and sensitive skin types. Effect on the skin: The skin feels fresh and deeply cleansed. Makeup and impurities are removed without effort. However, dry skin might feel tight and stripped. Buy again: Yes absolutely, perfect as a gift as well. Let’s test Holika Holika Smooth Egg Soap Special Set. 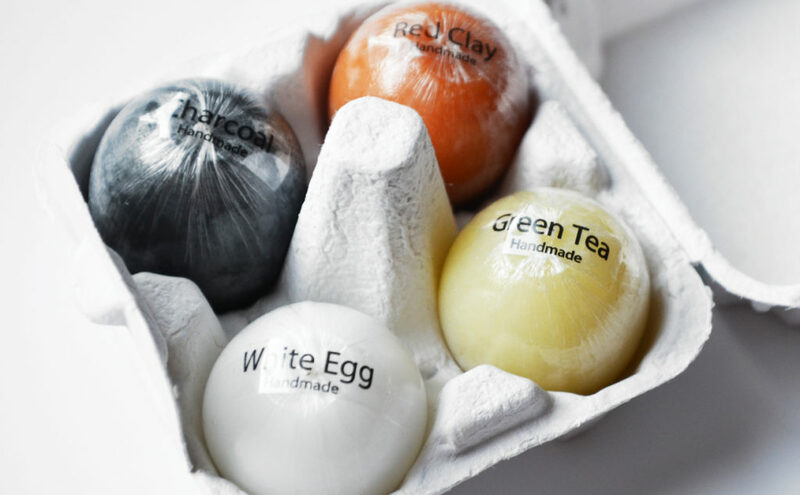 An incredibly cute set with 4 colorful egg-shaped facial soaps targeting different needs and skin concerns. Here’s my review. OMG How cute are these is my first thought. 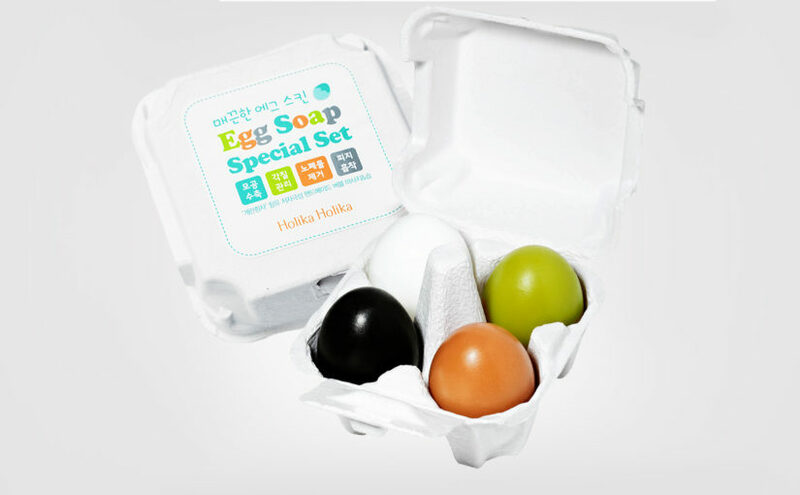 Holika Holika Smooth Egg Soap Special Set looks like a white egg carton with room for 4 handmade egg-shaped soaps in different colors. 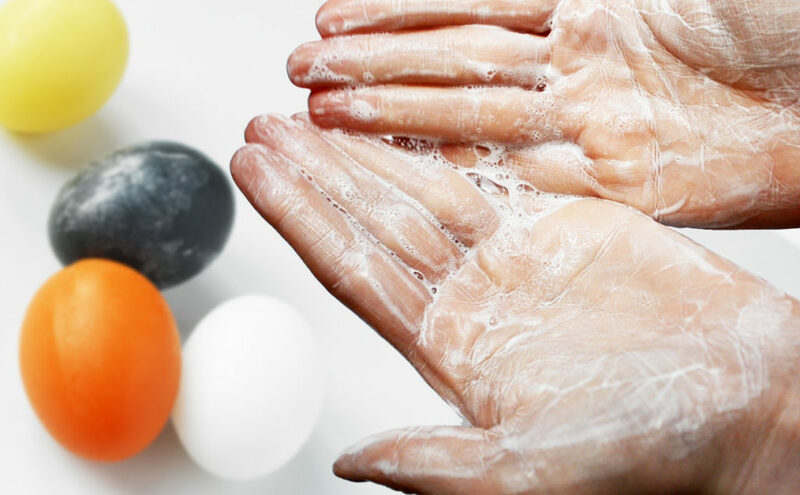 Each egg soap contains ingredients targeting a specific treatment area. Holika Holika Smooth Egg Soap Special Set comes with a white soap targeting enlarged pores, a black soap for deep cleansing and removing excess sebum and blackheads, a yellow / green soap that is soothing and removing dead skin cells and an orange one that hydrates the skin while preventing wrinkles. How cute are these! Holika Holika Smooth Egg Soap Special Set is a super cute little set with 4 handmade facial soaps targeting different skin types and skin concerns. If you like the sense of old fashion “soap and water” cleansing, then this set is really something for you. Holika Holika Smooth Egg Soap Special Set has a scent of skin care mixed with soap. Spontaneously, I feel that the orange soap has the nicest scent and foams the best, followed by the yellow and the white soap. The black soap has the most “soapy” scent of all of them and foams the least in my opinion. All soaps, however, are more or less equivalent and they all keep the same nice quality. I love having these cute little soaps sitting on my bathroom shelf. And they spread the most amazing fragrance throughout the bathroom. 2. 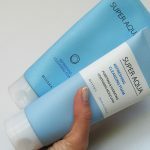 As a bubble cleansing foam, ie make a proper foam, apply the lather to the skin and gently massage until the bubbles disappear and the product becomes creamy. Rinse. 3. As a cleansing mask 1-2 times / week. Make the soap lather and apply the foam on wet skin avoiding the eye area. Let it sit for 5-10 minutes, then rinse. All the egg soaps in Holika Holika Smooth Egg Soap Special Set have different ingredients for treating different skin concerns. But all soaps contain Hydrolyzed Egg Protein as the key ingredient. Each egg should last for up to 2 months which means that a little goes a long way. Holika Holika Smooth Egg Soap Special Set is sold both as a pack of 4 eggs, or in a smaller pack of 2 eggs which is perfect once you’ve found your favorite. Cleanses and reduces pores. Suitable for all skin types, but especially for targeting enlarged pores. Mild soapy scent, and makes a creamy soft foam. Cleanses effectively. The skin feels clean and fresh after using the white soap. The skin feels slightly tight on dry skin types. 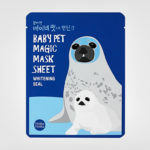 Reduces blackheads and controls sebum. Recommended for oily and combination skin types. 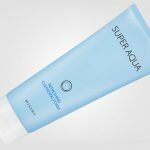 Creamy foam that deeply cleanses the skin. Mainly suitable for oily skin types and for targeting excess sebum. Skin feels tight after cleansing on dry skin types. The soap I like the least because it’s not as hydrating and it didn’t foam as easily as some of the other soaps. 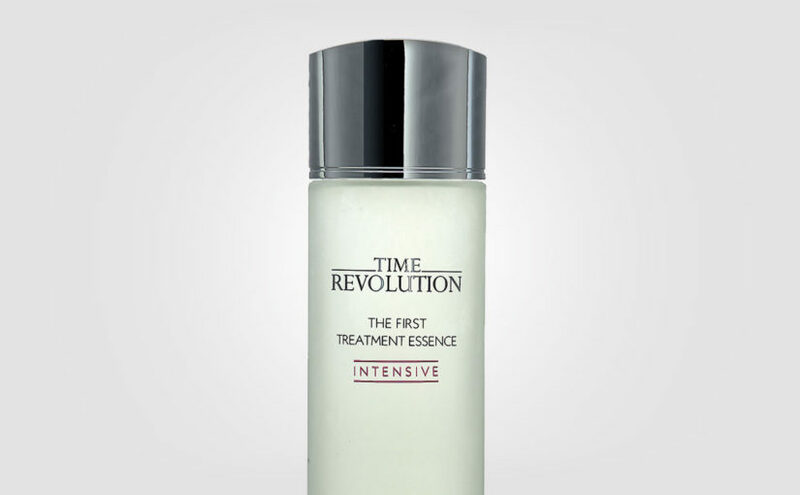 Rejuvenates the skin and has anti-aging properties. Provides excellent hydration. 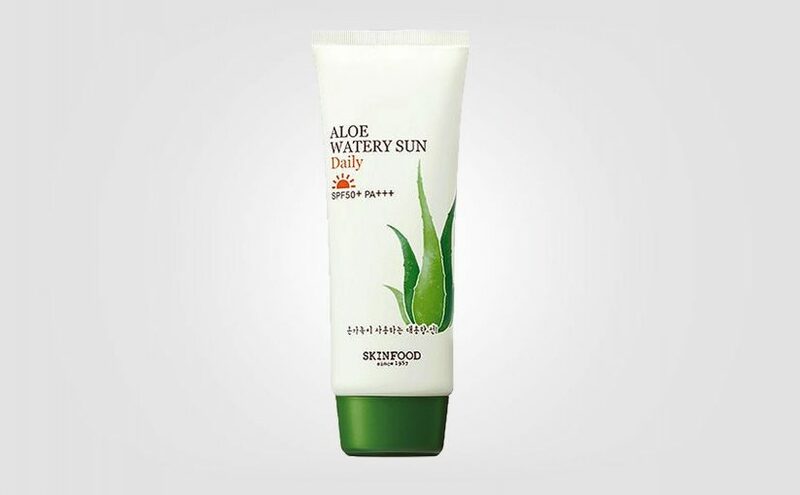 Suitable mainly for mature, dry and combination skin types. My favorite out of all the soaps as the scent is really nice. Soft creamy foam, cleanses gently but efficiently and basically suitable for all skin types I feel. Looks more yellow than green. 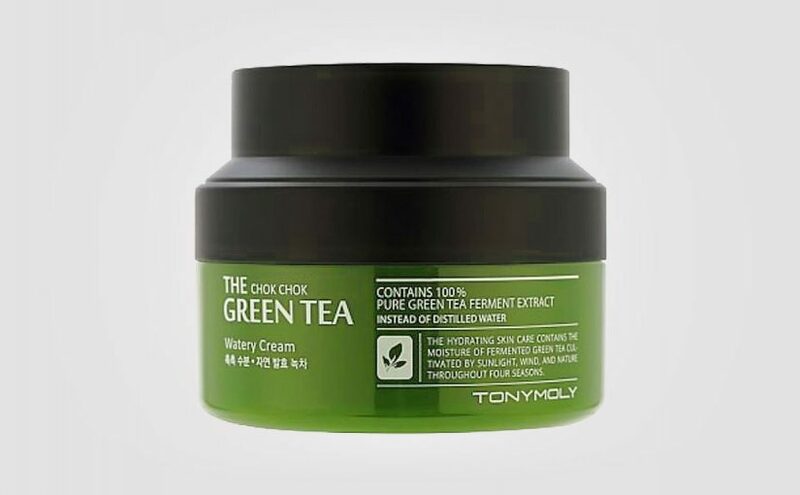 Contains green tea that hydrates and soothes the skin while removing dead skin cells. Suitable for all skin types I feel. 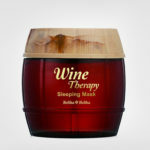 It’s recommended for sensitive skin and tired dull skin that has lost its natural glow. 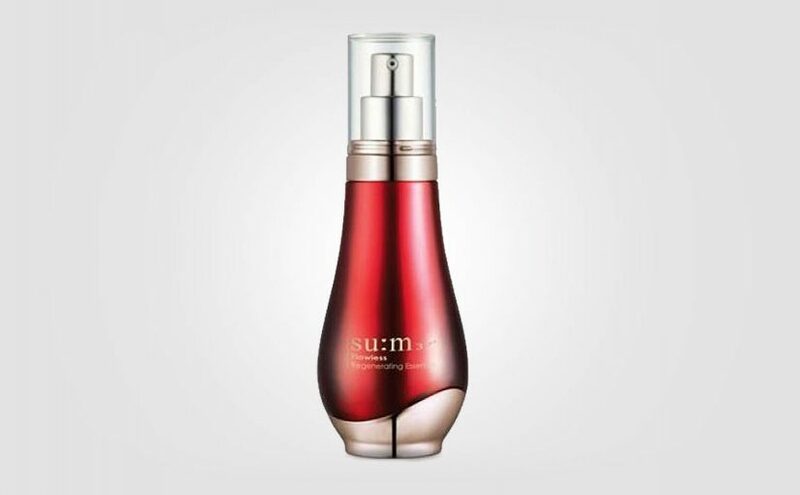 Fresh scent, creamy foam, and cleanses the skin gently but efficiently. If you like the classic “soap and water” feel then Holika Holika Smooth Egg Soap Special Set is absolutely perfect. Highly recommended! The Holika Holika Smooth Egg Soap Special Set has grown on me after using this set for several months. I really like that these egg soaps feel dense, they foam nicely without ever becoming soft and messy as soaps sometimes do. The soaps keep the round shape really nicely. And a little goes a long way as well. I just love the packaging and the mild scents. And these egg soaps are just too cute sitting on the bathroom shelf. Incredibly affordable for 4 soaps that last for over 6 months. If you are looking for the classic “soap and water” feel, then I highly recommend the Holika Holika Smooth Egg Soap Special Set! Plus for the solid texture that is perfect for traveling. Plus for the innovative packaging, the mild scents and the creamy soft foam. Plus because Holika Holika Smooth Egg Soap Special Set cleanses efficiently without irritating the skin. And there are soaps for all skin types and treatment areas. 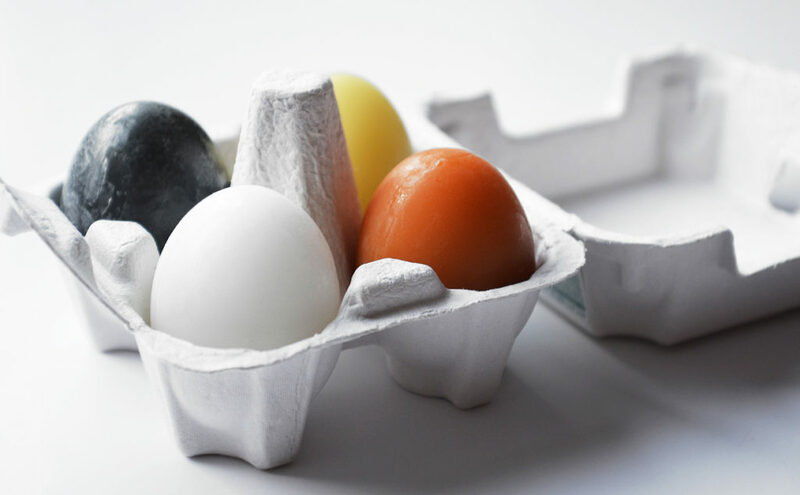 The egg soaps keep the shape without becoming messy. I would mainly recommend Holika Holika Smooth Egg Soap Special Set for normal, combination and oily skin types. These soaps will make dry skin feel tight. The sopas are also perfectly suitable for so-called double cleansing. A really nice set of soaps if you ask me! All the soaps in Holika Holika Smooth Egg Soap Special Set are basically equivalent but my favorite is the orange one because it has a wonderful scent and foams the best.